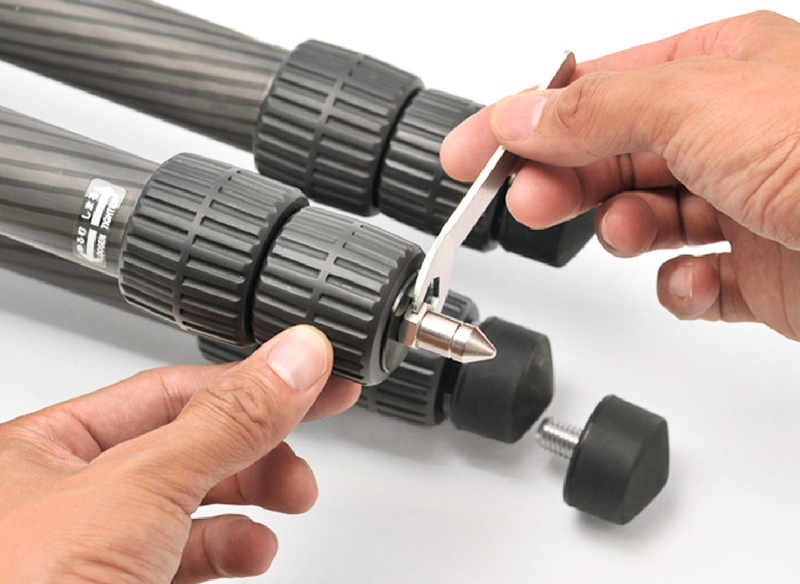 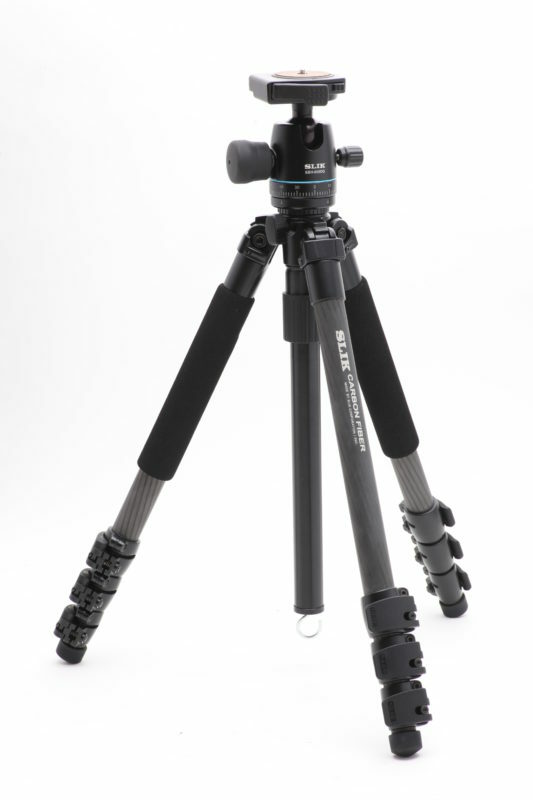 The SLIK PRO 723CFL has three leg sections that when fully extended reach a height of 1,620mm but when completely retracted the tripod is less than 600mm in length. 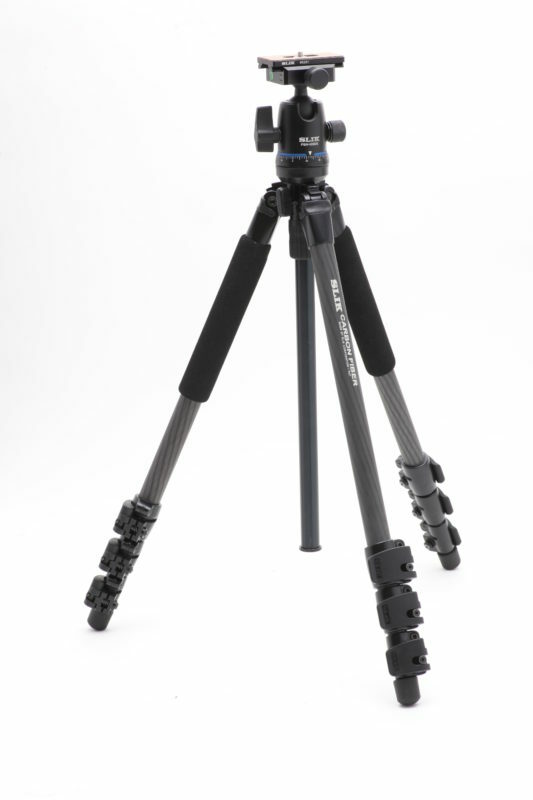 It has a weight of 1.56kg but is capable of handling 5kg of properly balanced equipment. 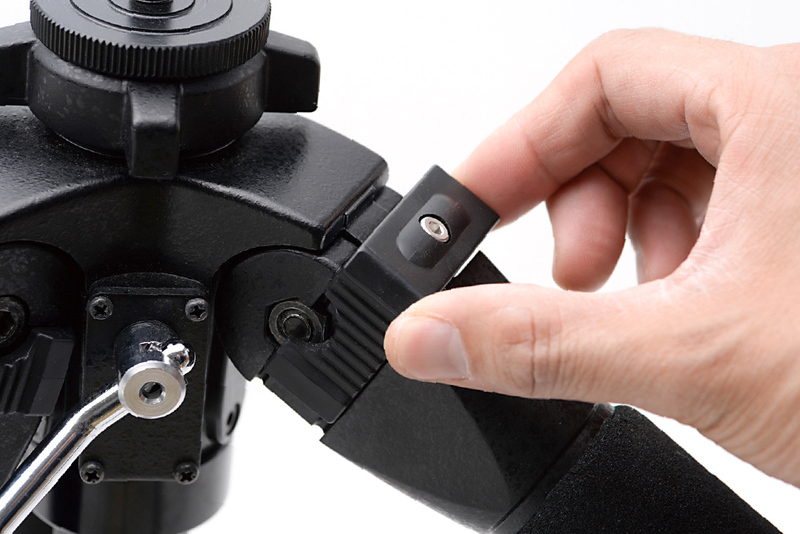 So the SLIK PRO 723CFL would be usable with the highest number of tripod heads from SLIK and others the tripod has an industry standard 3/8 mount post that is reversible to 1/4-20. 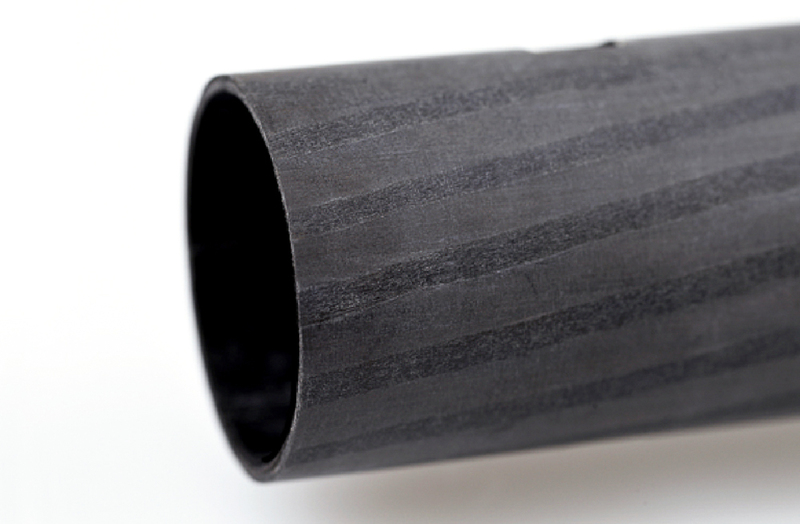 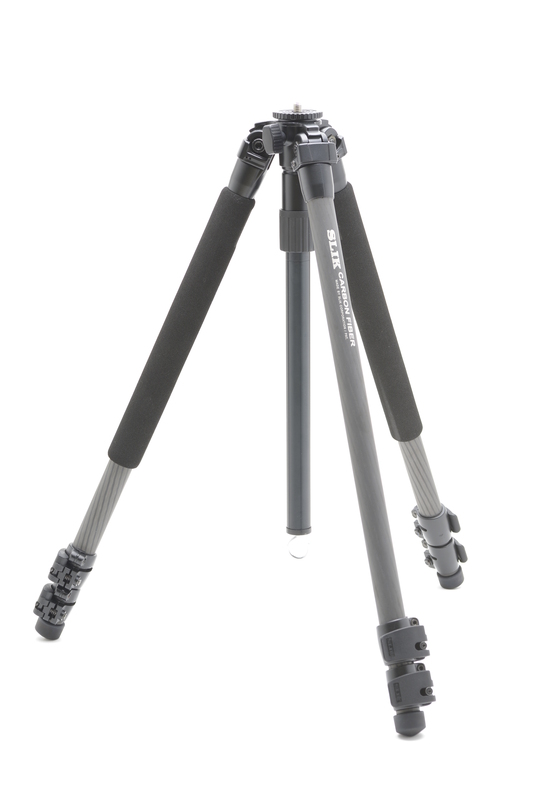 The 700 series carbon fiber tripods all have legs made up of carbon fiber material that is actually comprised of 8 layers of inter-woven carbon strands that are then bonded together in a sealed, high-pressure furnace producing strong, light weight carbon fiber. 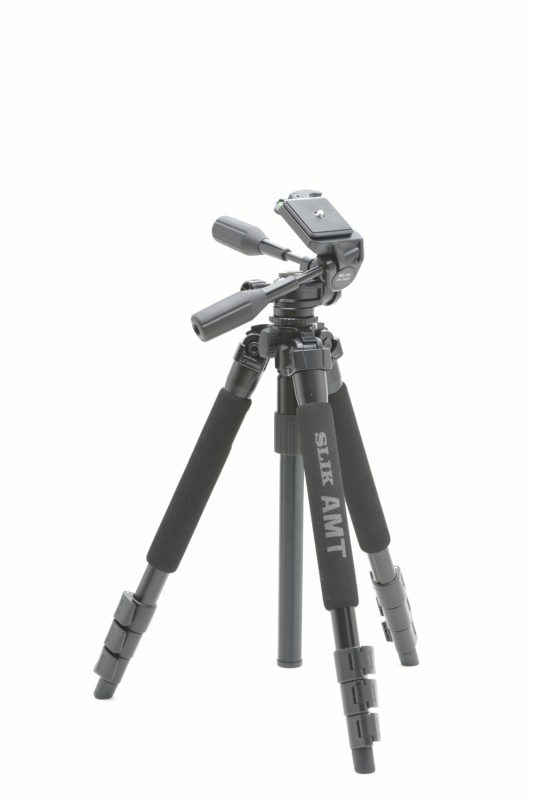 The legs also feature A.R.S (Anti-Rotational System) is designed into the leg locks and do not allow the individual legs sections to rotate inside each other. 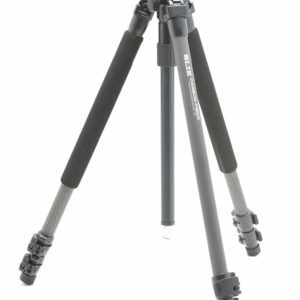 Each leg also has an independent lock that sets in one 3 angles to vary the height and stance of the tripod. 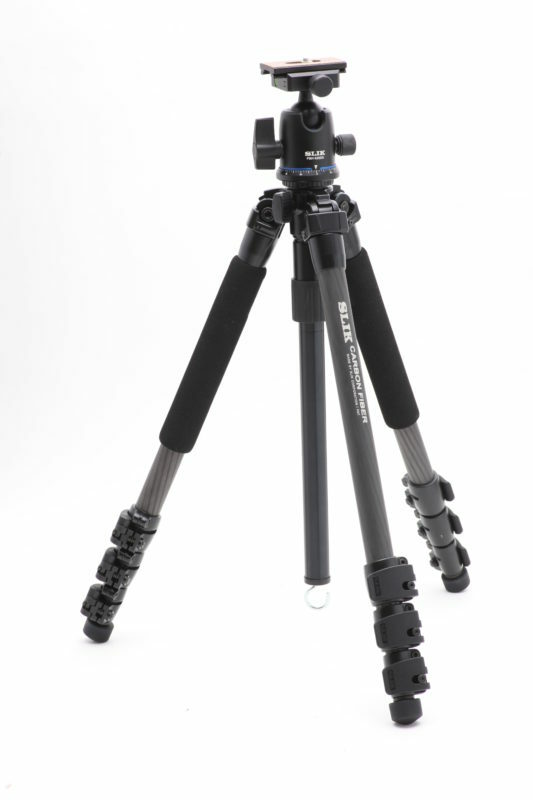 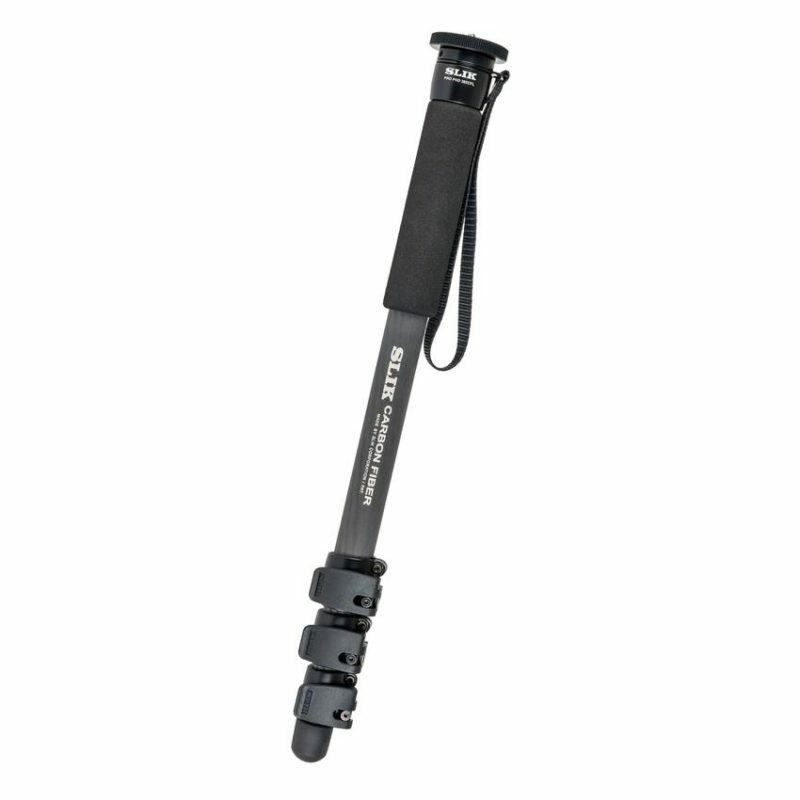 The three setting are for maximum height, waist level or low angle photography close to the ground. 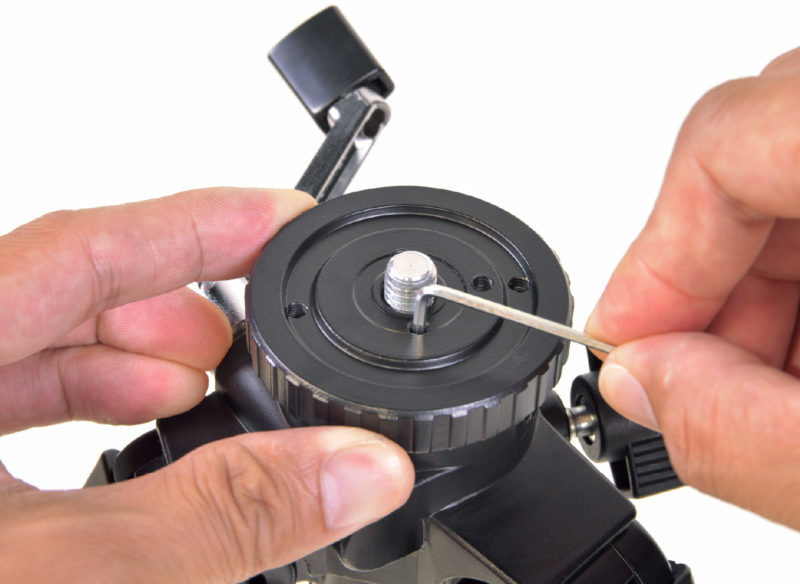 The PRO 723CFL is equipped with proprietary Speed Release Locks for fast easy set-up and pack-up. 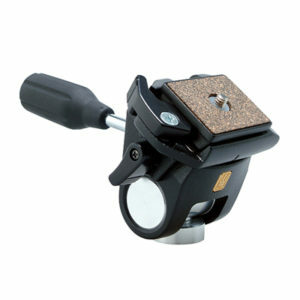 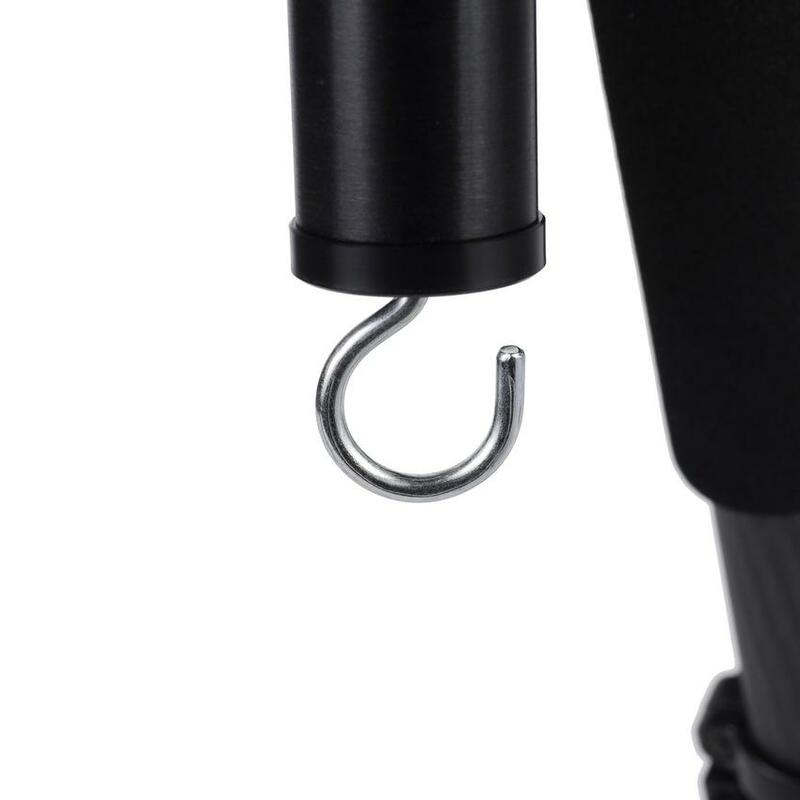 These fast easy-to-use lever locks are spring-loaded to hold each section of the tripod legs securely but do not snap-back so there is no pitching of fingers while using them. 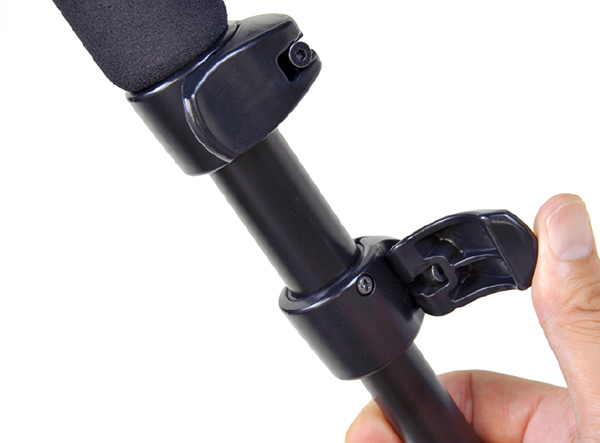 Robust leg-lock system that can operate quickly and easily.